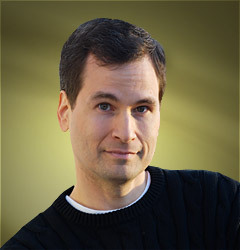 David is also a best-selling “How-To” author having authored 7 books out of the wildly popular “for Dummies” series (including Macs, Magic, Opera, and Classical Music). David has won an Emmy, a journalism Loeb award, and an honorary doctorate in music (pretty busy dude). All that and more is info available on his public bio here. 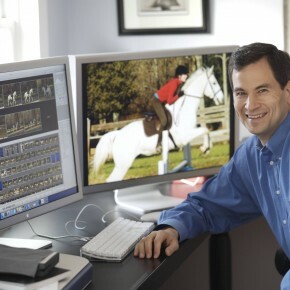 However, to me David Pogue is so much more than all those awards and accomplishments. Anyone who has ever read David’s columns or watched his hilarious videos probably noticed a pattern. He knows how to simplify even the most technical and geeky concepts so anyone can understand them. To me, that is a great writer. That is what technical writers have to do in their documentation, and that is what a good Web journalist should be capable of doing as well. For years, I have tried to “imitate” this style in all my writing so anyone can read and understand my posts. David has been my personal role model and someone I always admired. In addition, David has been known to crowd source parts of his New York Times column by asking his Twitter followers for their input. That is another thing I admire and have begun doing myself. I know that in terms of influence, not many people can match David’s far reach. Just a few weeks ago, he wrote about top photography apps in the New York Times, and one of the apps he included in the list happens to be an app developed by a friend. Trust me when I tell you, the very mention of the app in David’s column immediately caused the download numbers to absolutely skyrocket. David, along with Walt Mossberg, were the first people to review the iPhone when it came out. To me, Walt and David are the two remaining old school geeks that lead the way in genuine and professional tech journalism. I, for one, feel very privileged to have had the opportunity to interview both Walt and now David. So David, thanks for this interview (and the follow on Twitter), it is very much appreciated. Keep up the awesome work you are doing. 1. 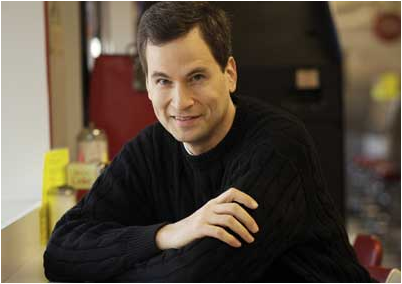 While I am sure most people reading this know who David Pogue is, please tell us about yourself and your background. What led up to you becoming the tech journalist for the New York Times? Sure. I started out as a musician; after Yale, I conducted and arranged Broadway musicals in New York for ten years, which a lot of people think is a strange preparation for becoming a tech columnist! Sheet-music software got me interested in tech. I don’t have to write out my music by hand? I can just play it, and the computer does the notation for me? Where do I sign? In time, I wound up writing software manuals, how-to computer books, and computer-magazine columns for 13 years. Then the New York Times asked if I wanted to take over its consumer-tech column. I thought it over for–oh, must have been one-tenth of a second–and then said yes. 2. What are five of the most amazing technologies or gadgets you ever covered in your column? I tend to like things that simulate magic. (Did I mention I’m also an amateur magician, and I wrote “Magic for Dummies”?) Wireless things, like WiFi and the Wii and the Kinect. Things that make it seem like computers understand us, like speech-recognition software and phone apps that respond to tilting or touching. Things that make us look good or professional with very little effort, like really nice cameras and camcorders. And simple things. Products that do amazing things with the touch of a button and very little technical bushwacking. The iPad is a pretty good representative in that category. 3. While some of my other interviews here were appreciated by my geeky friends, my parents will read and love this interview as well. What differences do you see between the young tech generation and the last generation in terms of how they view the world we live in? But I do feel as though the last few years have really accelerated the pace. Even today’s college kids never knew a world without the Internet, and today’s elementary-schoolers never knew a world without CONTINUOUS, ubiquitous Internet (thanks to smartphones). 4. Now to get a little geeky, you cover apps a lot, what are five of your favorite apps and why? 1. 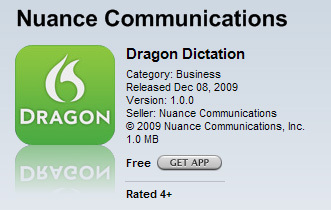 Dragon Dictation (free). Speak to type. In general, excellent accuracy. After the transcription appears, one tap slaps the text into an outgoing e-mail message, text message, Twitter or Facebook update. Or just copies it to the clipboard. 2. LED Light (free). The LED “flash” on the iPhone 4 is incredibly powerful; you could practically light up a runway with it. Just open this app to activate the LED instantly bright and easy. 3. FlightTrack Pro ($10). Incredible. Shows every detail of every flight: gate, time delayed, airline phone number, where the flight is on the map, and more. Knows more—and knows it sooner—than the actual airlines do. 4. Line2 (free). Gives your iPhone a second phone line with its own number—one that makes or receives calls over WiFi when you’re in a hot spot (no AT&T minutes! ), or over AT&T when you’re not. Unlimited texting, unlimited calling, $10 a month. 5. SoundHound (free). Beats Shazam at its own game. Hold this app up to a song that’s playing on the radio, or even hum or sing the song, and the app miraculously identifies the song and offers you lyrics. 5. What are five gadgets that you use regularly and have changed your day to day life? I carry around three things every where I go: a 13-inch MacBook Pro, an iPhone, and a Canon S95 digital camera, by far the best small camera made. At home, I get incredible use out of a Neat Receipts micro-scanner, a TiVo Series 3, and a Nikon D80. 6. Do you own a tablet? If so, which one and how do you use it? If not, why not? 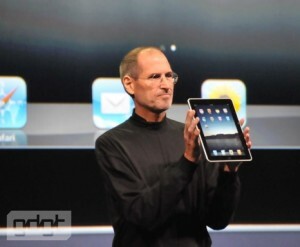 I had an iPad here on loan for a review for a long time. My kids wound up using it constantly, but since I do more creating than consuming, I generally stuck to my laptop. Just too hard to write fast and lots on the glass keyboard. 7. One of the blatant changes we are seeing in tech is that while companies like Microsoft used to completely dominate, now Google, Apple, Facebook and others are spreading the wealth and even surpassing Microsoft in some cases. Do you think this trend will continue with new companies reaching such levels in the coming years? Anyone who tries to predict the future of tech winds up looking like a moron, so I’m not going to go there. But I will say that there’s nothing more exciting than seeing the Internet make possible new businesses, new business models, new ways of interacting, that nobody’s thought of before. Groupon, for example–the fastest-growing business in the history of business: zero to $1.5 billion in sales in less than 18 months. So yes, I do feel that we’re just at the Cro-Magnon stages of the big wave. I’m certain there will be other disruptive companies and businesses yet to come. 8. How do you view the future of the mobile industry? What trends do you think we will see over the coming years and will it continue to grow at this intense pace? Nobody really knows. But I’ll tell you what I hope for: ubiquitous Internet. Right now, WiFi is just in a few lucky spots. 3G cellular is OK, but it’s outrageously priced — and capped per month. 4G is a big boondoggle as far as I’m concerned–all this advertising, and still only a few cities have it (and at a fraction of the advertised speed). Wake me when there’s nationwide unlimited 4G coverage for $20 a month. Thanks again for the interview, David. I also really enjoyed your answers that were honest and straight forward, a style you have become recognized for and associated with over the years. You asked really good questions! I love the Dictation App my self, recently I had surgery which disabled me from writing on blog for month now, been using it since every day. 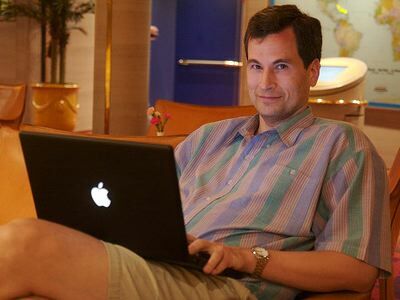 I’ve been reading and watching Pogue since he started at the Times and I’ll tell you no matter how well he writes in understandable terms, his strong suit is his incredible sense of humor. Great interview! Dragon Dictation is one of my favorite apps. Would be even cooler if it included voice commands so that the dictation text can be broadcasted hands free.